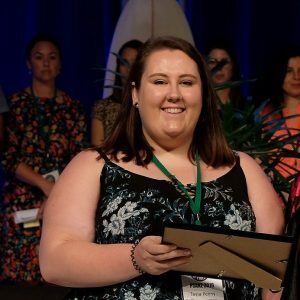 Two Hudson Institute early career researchers and two PhD students were recognised for their outstanding research at the 21st Perinatal Society of Australia & New Zealand (PSANZ) conference at the Gold Coast. 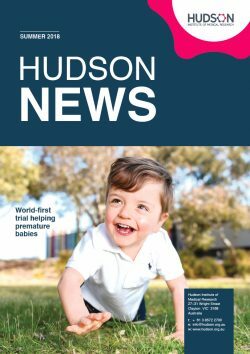 PhD students, Ben Amberg and Tayla Penny, and early career researchers, Dr Tamara Yawno and Dr Vanesa Stojanovska, presented their research at the conference that aims to improve health outcomes for mothers and their babies. Tayla Penny receives her award. Besides the prestige, the awards open up new opportunities including presenting at international conferences and establishing their careers. “I now have the opportunity to present in America to the Perinatal Research Society,” Tayla Penny said. “These awards are highly competitive and not many early career researchers receive them. This acknowledgement gives me confidence moving forward with my research,” Vanesa Stojanovska said.